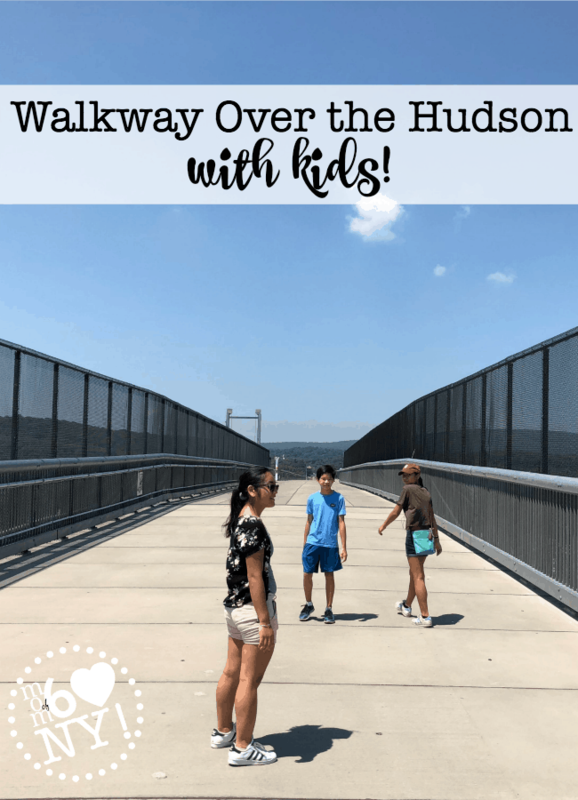 Walkway Over the Hudson with the Kids! 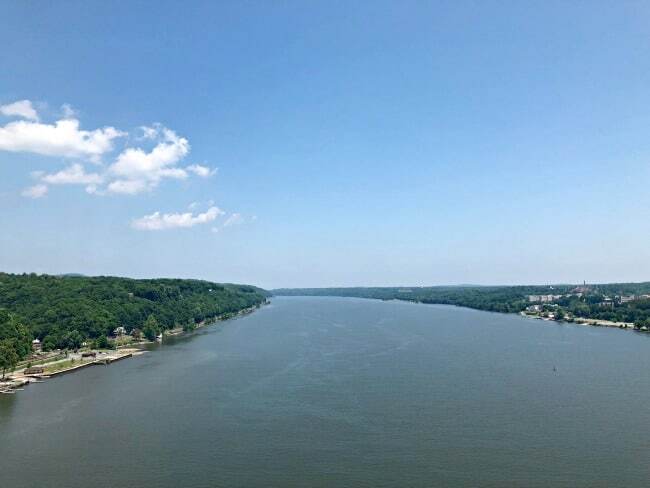 If you are planning a family road trip to New York, I highly recommend visiting the Walkway Over the Hudson as you make your way south towards New York City! This pedestrian walkway once served as a railroad bridge. Originally constructed in 1889, it carried freight and passenger trains over the Hudson River, but the bridge ceased to carry rail traffic in 1974 when a fire destroyed the train tracks (but thankfully left the bridge unharmed). 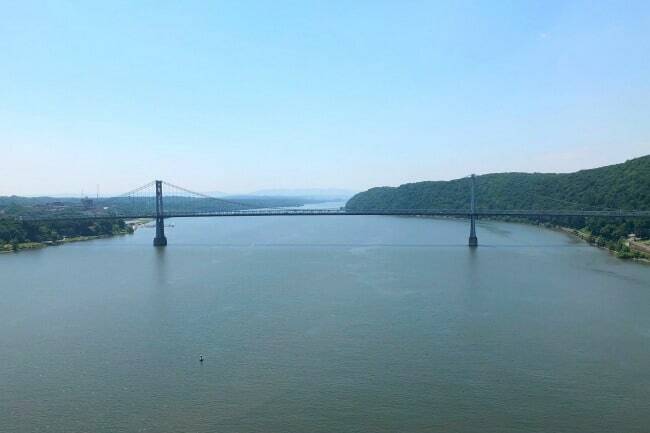 In 2009 the bridge was re-opened as a pedestrian walkway and bike path, as part of the Hudson Valley Rail Trail! You can read lots of facts about the history of the bridge on the Walkways's website– including learning about how the bridge was painted black during WWII to make it less visible in the event of an attack! If you are looking for a longer hike than the 1.2-mile span across the bridge, there is a loop you can do where you cross over the walkway and then connect to the mid-Huson bridge for a 4.4-mile loop! Pets are welcome to join you for your walk, but if the temps outside are super hot (it was 92 degrees during our visit), you need to keep in mind that the temp on the concrete sidewalk is even hotter! On days like that, it's better to leave the pup at home! 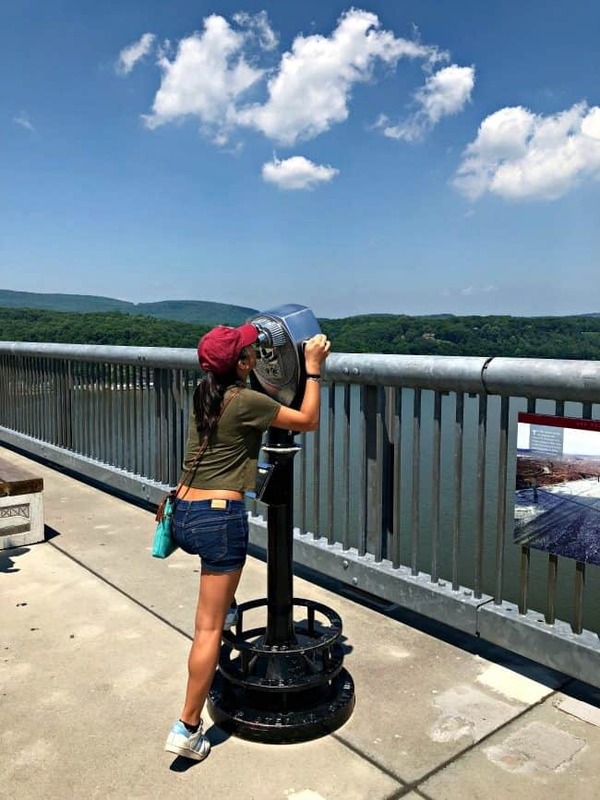 *Walkway Over the Hudson with Kids is part of the “MomOf6 Loves NY!” series that highlights some of our family’s favorite places to visit during a New York road trip! Looking for some more New York road trip ideas? 8 Great Things to Do In New York City in with Tweens– In Just One Day! « 8 Great Things to Do In New York City in with Tweens- In Just One Day!